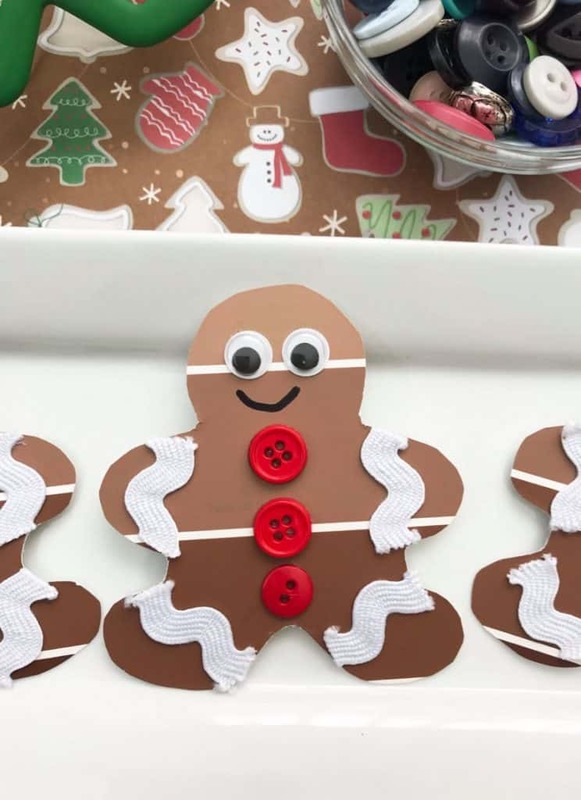 I love an easy and adorable Christmas craft, and this paint chip gingerbread man craft is absolute perfection! My kids are always clamoring to choose a few paint samples to bring home from the hardware store. I can’t blame them, there is just something about a paint chip card with it’s ombre color scheme that makes even me want to grab a few- even when I’m not planning to paint anything! 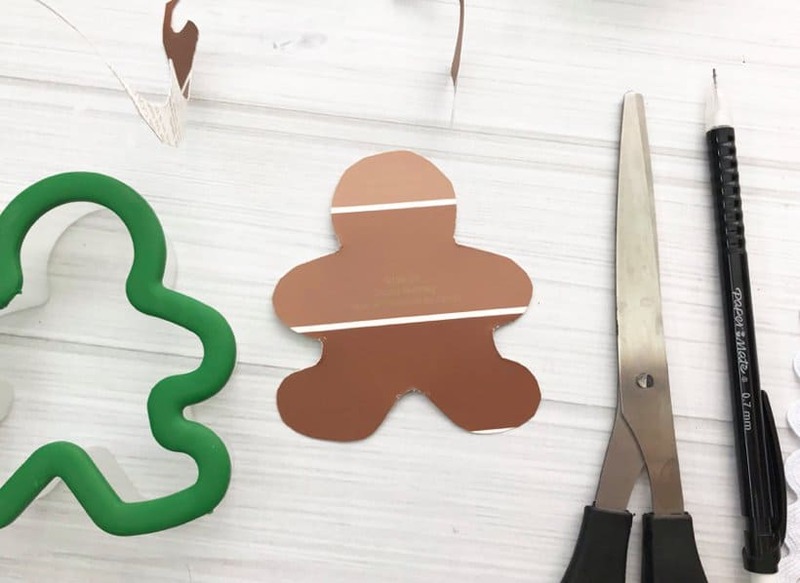 This year we are turning those stacks of paint chips into Christmas gift tags and ornaments, starting with these adorable gingerbread men. 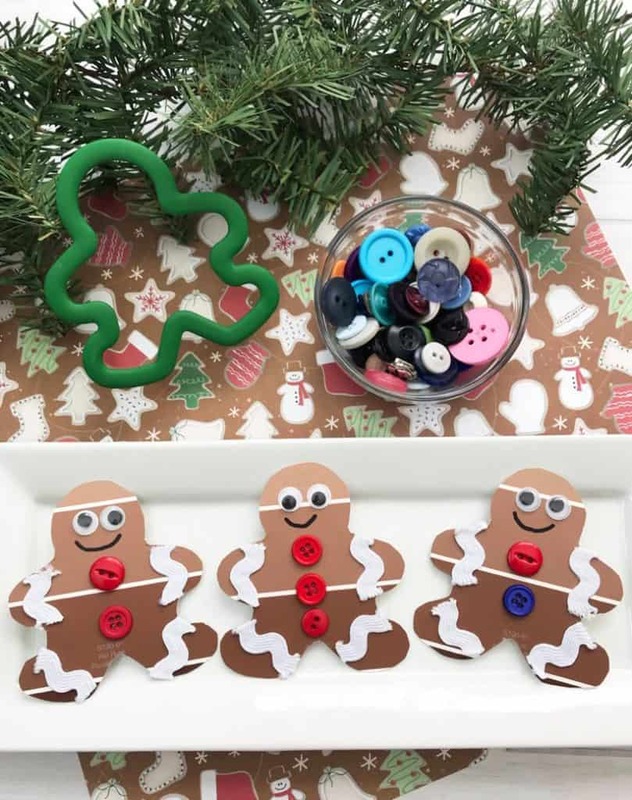 Create a pile of paint chip gingerbread men, add a ribbon and use them as super cute gift labels this Christmas.Or they’d make a precious ornament simply glue two gingerbread men together, back to back and sandwich a ribbon folded in half as hanger in between. Then add one to your tree and give some away too. Grandparents would love to get one of these ornaments from a grandchild for too! 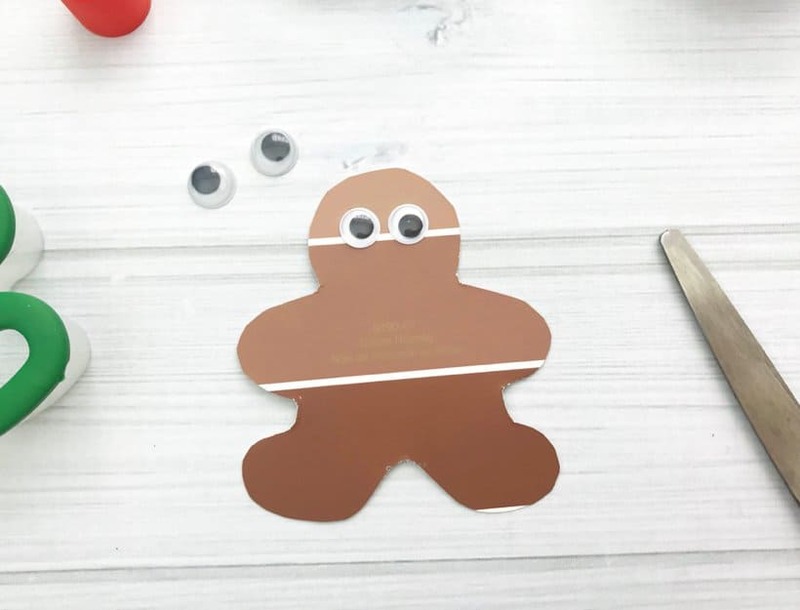 PencilDirections:Trace the outline of the gingerbread cookie cutter on the back of paint chip and use the scissors to cut out. 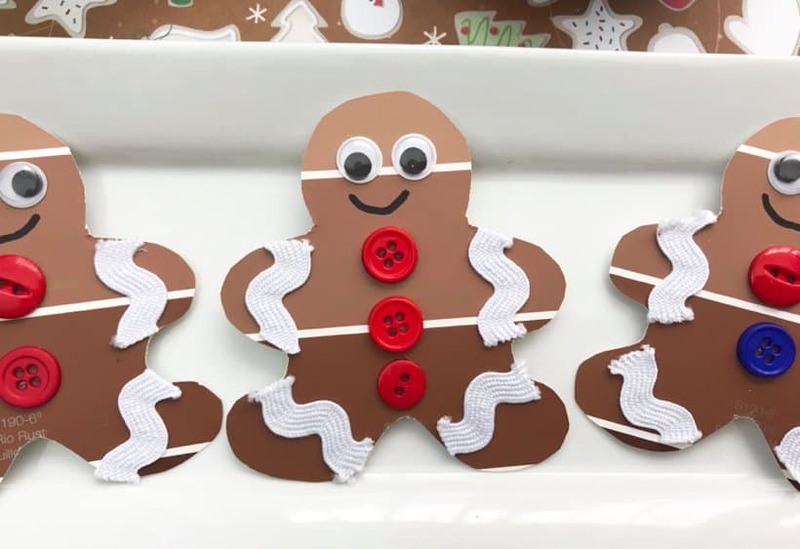 Affix 2 small googly eyes to the gingerbread man. 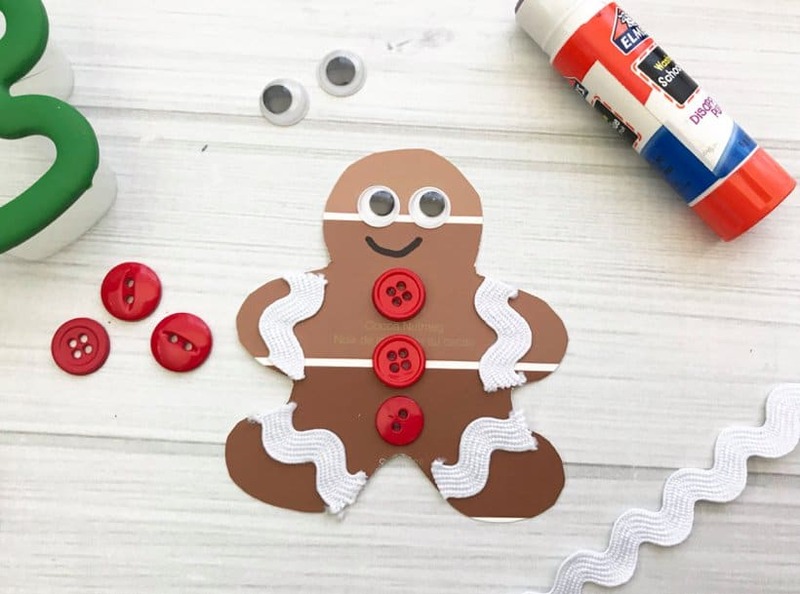 Use the glue stick (or hot glue gun) to affix 2-3 buttons. 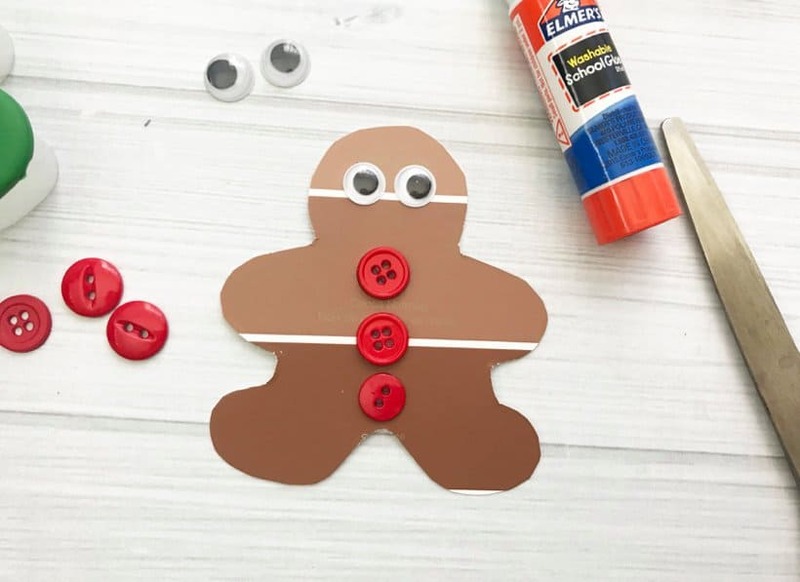 Cut the ric-rac as wide as the gingerbread man’s arms and legs and use the glue stick to affix it to the paint chip. 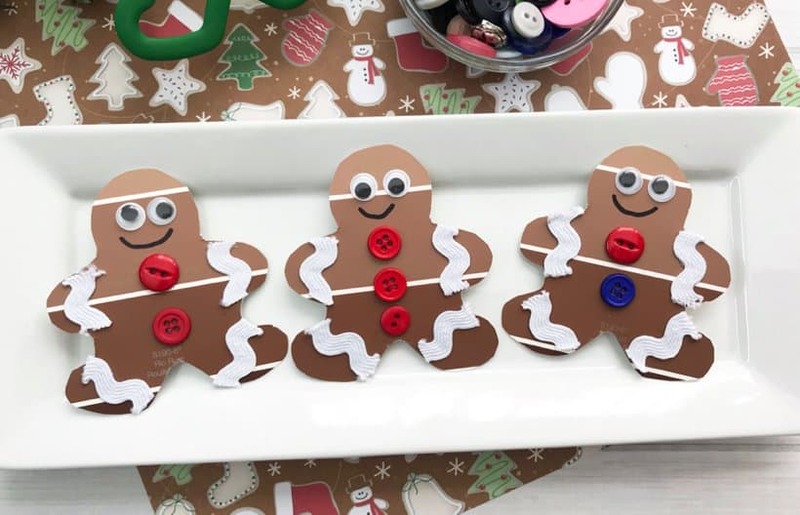 Repeat with as many gingerbread men as you would like to make. So cute aren’t they? 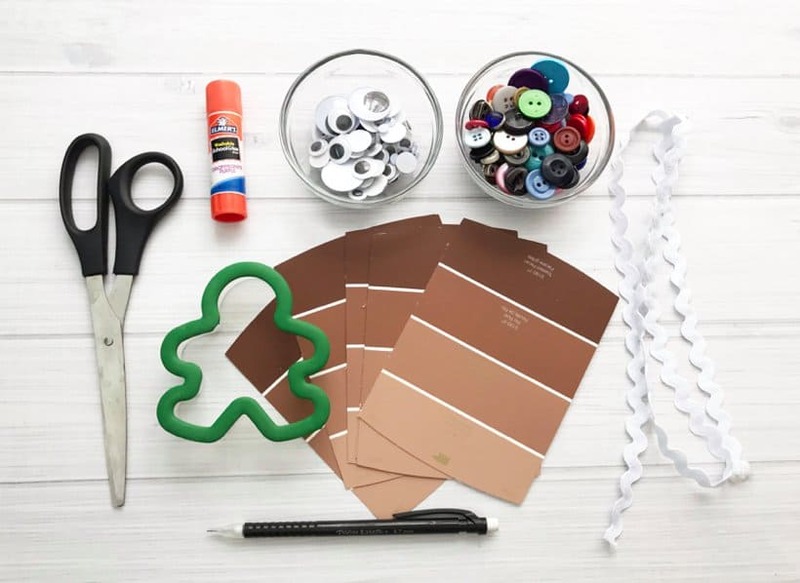 Easy craft, just a few supplies, and very little mess- it doesn’t get better than that!